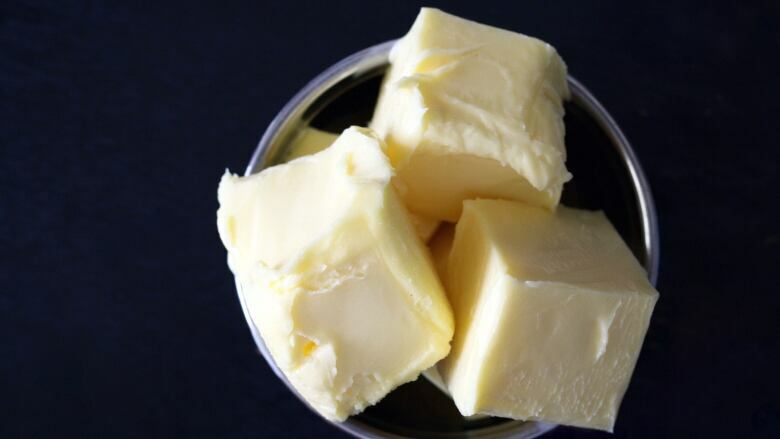 Two Vancouver men are facing charges of theft after RCMP in Coquitlam, B.C., say they arrested the pair for allegedly stealing a shopping cart loaded with $1,400 worth of butter. Police say the men, aged 23 and 25, were arrested outside a supermarket on Wednesday. Cpl. Michael McLaughlin says while the theft of a large amount of butter is a little unusual, police do see these sort of thefts with other food products like meat, cheese and baby formula that is easily sold on black markets. Police say the 23-year-old man is also a suspect in at least three other butter thefts around Metro Vancouver in recent months. McLaughlin says a store employee recognized one of the suspects because of previous incidents of theft. Because the charges haven't been officially laid, the names of the accused haven't been released.